Two prosecution witnesses said they did not know Iliesa Turagacati, had never met him before and could not have been in business with him since they were not even acquaintances. Kaliova Qio and Mosese Mawalu took the witness stand on Day 14 of the $3.1-million road scam involving T.F Jan Bulldozing Company director Firoz Jan Mohammed, and four former employees of the then Department of National Roads. Fiji Independent Commission Against Corruption’s lawyer Rashmi Aslam asked Mr Qio about supplying wood to any company in Ba and Mr Qio responded that it was for T.F Jan Bulldozing Company. Mr Qio said he was a spokesperson for Mr Mawalu who had a logging licence. He was asked if he had any business in Suva and if he knew Turagacati (second- accused). He was also asked about sending telegraphic money orders (T.M.O) or instructing Mohammed to send money to Turagacati in Suva. This was raised as his name was used in T.M.O’s sent by T.F. Jan employees. Mr Qio said he did not know Turagacati, neither did he ask anyone to send money to him and that he had no business in Suva. Ian Lloyd QC in cross-examination asked him about the royalty payment and Mr Qio said the royalties were paid to him and he took it to the mataqali. He was asked about the roadblocks at Bukuya Road because a Ratu Simione Vutuvuti had demanded $50,000 from Mohammed for the use of stones from the Bukuya Quarry site. Mr Qio said there was no roadblock except Mohammed’s employees were asked to stop work from Bukuya Quarry but after a traditional sevusevu the issue was resolved. Nancy Tikoisuva suggested to Qio that he had asked her client Turagacati to deduct money from T.F Jan Bulldozing payment and send it to them as the company owed them money for logging royalty. She then suggested that after being denied, he and Mawalu from Ba went to see Turagacati in Vatuwaqa, Suva, where he was selling fish and expressed interest of operating a fish business. She suggested that they (Mawalu and Qio) asked Turagacati to send fish and they would send money via T.M.O. This was denied by Mr Qio because he said he does not know the accused, neither his contact nor had met him before. Mr Mawalu, in his evidence, said he was not aware of any Turagacati and since he is uneducated he doesn’t know what T.M.O was or if money could actually be sent through the Post office. He also clarified that he doesn’t even know where Vatuwaqa was. An earlier witness Azim Ali in cross-examination said he could never forget a threat in his life hence he was not lying in court about instructions from Mohammed to send T.M.O’s to Turagacati with Mawalu and Qio’s name. Firoz Jan Mohammed and former civil servants Iliesa Turagacati and Navitalai Tamanitoakula were charged with bribery, obtaining a financial advantage and abuse of office, while the other two Aisea Liwaiono have been charged with two counts of causing loss and Vijay Prasad charged with one count of causing loss. Mohammed is also charged with a count of perverting the course of justice by submitting false documents for investigation purpose. It was alleged between February 27 and July 2012, Mohammed, offered payments amounting to $110,100 to Turagacati, who was an acting project accountant in DNR. For that same period Mohammed allegedly lodged false invoices and circumvented procedures to obtain an advantage of over $3 million. Tamanitoakula, senior accounts officer of FRA, was alleged to have abused the authority of his office, did an arbitrary act in processing payments amounting to $2.468 million to Bulldozing Company without following proper procedures. 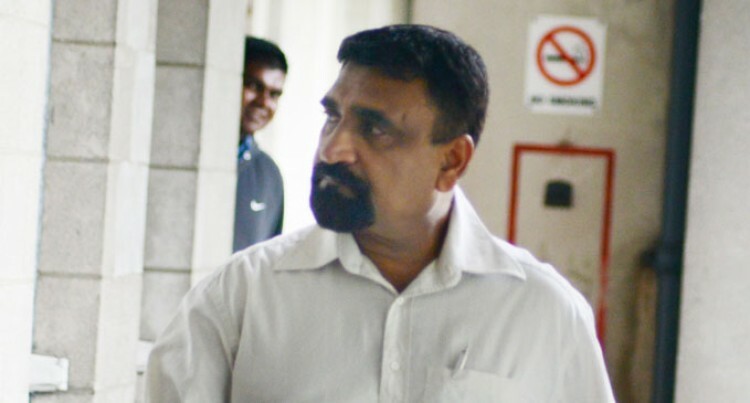 The fourth and fifth-accused, Liwaiono and Prasad, whilst being employed with FRA allegedly dishonestly caused a risk of loss to FRA by falsely verifying the statement of invoice dated December 31, 2010 amounting to $95,773.52 and supporting documents for T.F Jan Bulldozing Company allegedly knowing that there was a substantial risk of loss to FRA. During the same time, it was alleged that Liwaiono dishonestly caused a risk of loss to FRA by falsely verifying the statements of invoice respectively dated December 31, 2010, April 4, 2012 and April 16, 2012 amounting to a total sum of $315, 417.60 and supporting documents of T.FJan Bulldozing Company.